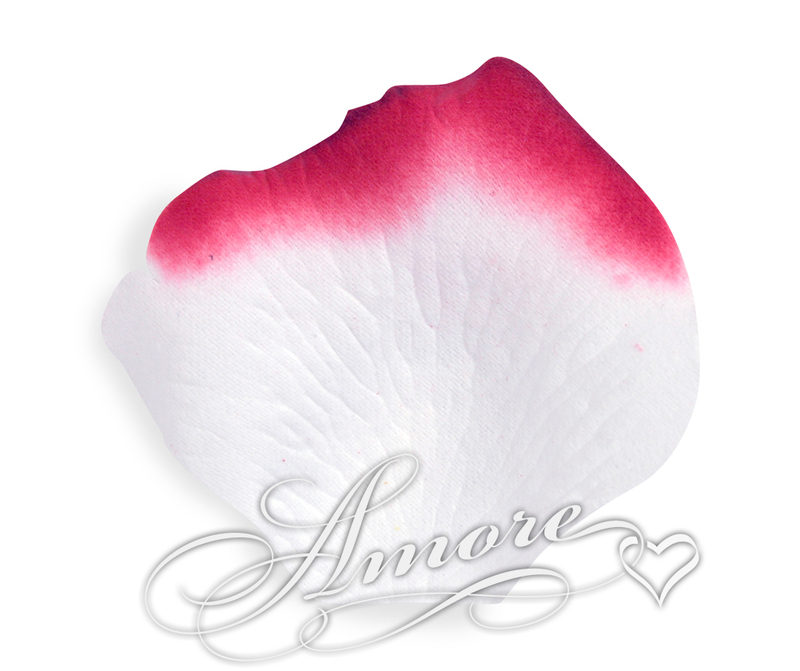 Hard to find White Rose Petals dipped in Burgundy color, very welcoming and warm toned. High quality silk rose petals. NO small or sheer petals. Rich in color and feel. Petals size is 2 inch H x 2 1/4 inch W. Each bag contain 200 wedding silk rose petals.